It's chimney cleaning and masonry repair time! Are you ready for it? 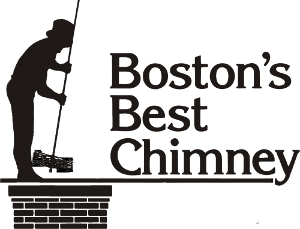 It’s Chimney Cleaning and Masonry Repair time! Are you ready for the change of season? Prepping the outside of the house for winter weather is part of New England living. 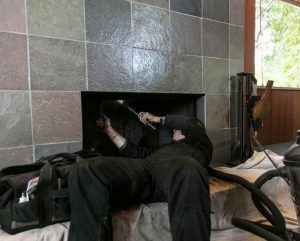 The hoses are brought in, water shut off, delicate shrubs wrapped in burlap perhaps, but one item that’s commonly overlooked during this process is the chimney. When the mortar and brick have crumbled, a chimney rebuild is needed. Our chimney rebuilds include tear down of the existing structure and debris disposal of the old decayed brick. The chimney will then be built back up using new brick and mortar and finished with crown/wash. Brick color, mortar color, and decorative corbel style options can all be discussed to give your chimney a fresh new designer look. Make sure the chimney is still standing come Spring. We are scheduling our final masonry repair contracts for the season. Call for a free estimate! Which Inspection Should I Schedule? Level 1: This inspection is performed if you plan to use the venting system as you have in the past. This is the minimum requirement for a chimney inspection. Readily accessible portions of the chimney are inspected, including the exterior. Level 2: This inspection is performed when any changes are made to the system, including fuel type. A level 2 inspection includes everything in Level 1, in addition to attics, crawl spaces, and the interior of the flue. A Level 2 is required during the sale or transfer of a property. Level 3: Includes everything from Level 1 and Level 2, as well as, the opening up or removal of components, such as the chimney crown, when necessary. If you are not sure what level of inspection to schedule, please call us to discuss your needs now!